This Quilt Sampler is made of traditional blocks, using Christmas fabrics. You can use any fabrics: a collection you love, batiks, linens, or fabrics you have to make a scrappy quilt. If you missed the beginning, no worries…..just join in! 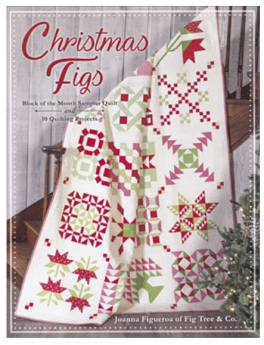 We are presenting this class as beginning / intermediate because we are going to begin with basic quilting principles. We will discuss fabric selection, how to square fabric, cutting, pressing, etc. During the classes different techniques and tools will be shown, to help you acquire piecing perfection. You will be assigned two blocks each month, learn how to assemble your quilt and make several types of binding. This class will be taught using discussion and demonstration. All sewing will be done at home. There will be a show and tell segment at the beginning of each class. It is fun to share, we all learn from each other. Skill level: beginning and intermediate.